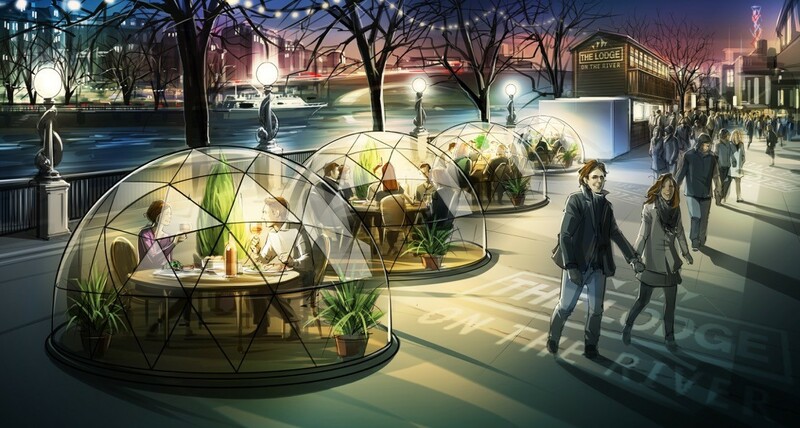 Jimmy Garcia first created his winter fondue pop-up in 2014, first in Balham, then in Clapham, and now in 2017 he's bringing the concept to the South Bank using a shipping container to create The Refuge, a 30 seat alpine lodge, and a collection of private dining 'show globes' to create a wholly magical winter experience. The menu will include the fondue, plus charcuterie, mulled wine and more, with a 'grab and go' hatch selling raclette burgers and dogs, crocque monsieur and more. This is going to be amazing - Jimmy has smashed it again! 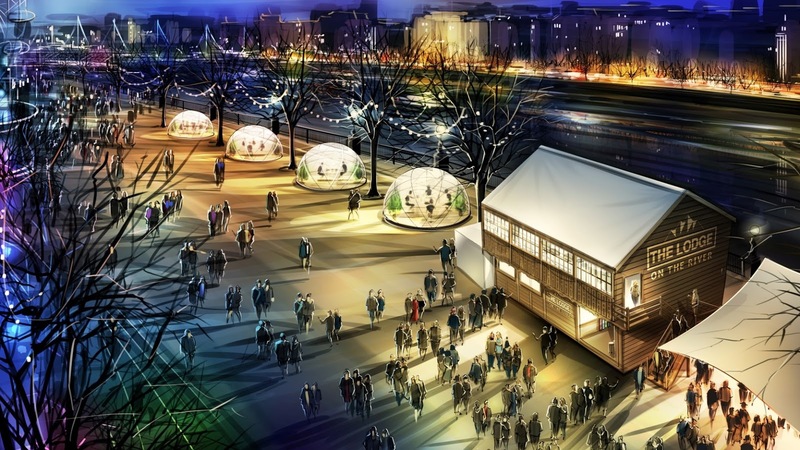 "Already the place to be when those winter chills kick in, this year at The South Bank Centre there’ll be an even more stunning addition, a feast for both the eyes and the palette – Jimmy’s Lodge On The River. Created by the king of pop-ups, Jimmy Garcia, this ultimate alpine foodie retreat will be running from the 10th November – 31st December 2017 and will feature an indulgent fondue menu from ‘The Refuge’ - the first-floor restaurant, as well as in the private-dining ‘Snow Globes’. On offer will also be a grab-and-go menu from the Winter Grill downstairs for guests to take with them as they continue their stroll along the river under the stars. ‘The Refuge’ is a tickets only upstairs dining experience which will serve Mulled Wine Cured Gravalax Salmon, Game Terrine on Brioche Toast and Smoked Goat’s Curd starters to share, followed by the traditional Alpine Fondue served with a selection of Artisan Charcuterie, New Potatoes, bread and salad. The downstairs Winter Grill will serve grab and go dishes including the show-stopping Raclette Burger, the Wild Boar and Apple Hot Dog and ‘Aspen Fries’ topped with Parmesan and Truffle oil. Jimmy's Lodge is situated in the most picture-perfect location, overlooking the River Thames and the timeless buildings of London. Getting into the festive spirit, a cosy, two-storey cabin has been built with wooden cladding and gifted with the best views south of the river. 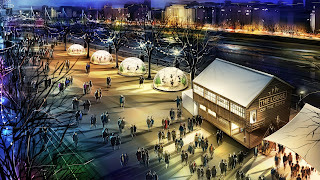 There is also a heated riverside Alpine Bar, with fire-pits, a canopy roof and an array of delectable hot toddies and cocktails – perfect to keep guests hands warm as they gaze out upon the capital. Possibly the most exciting feature of The Lodge On The River is the inclusion of the Insta-worthy 'Snow Globes'; four gorgeous private dining domes available to book for up to 10 people per dome. These are the ideal alternative option for a group get-together or a staff Christmas meal. The Snow Globes will be serving a set menu that features a trio of canapés followed by traditional Alpine fondue as well as the option of Côte de Boeuf to share, with charred broccoli, salted almonds and chili butter."